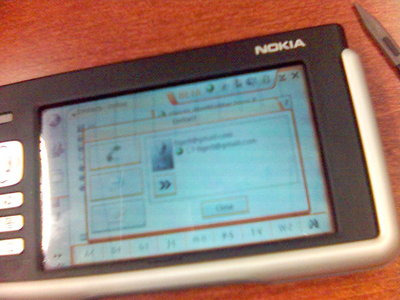 One of the most wanted features for the Nokia 770 Internet Tablet has been navigation. Now we have good news for those of you who have been waiting for it. 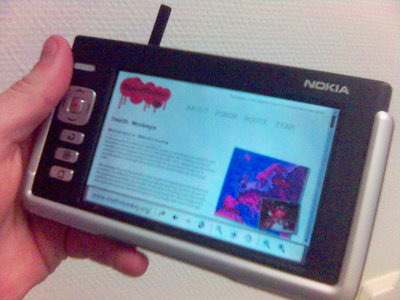 The Navigation Kit for Nokia 770 is now available for purchase through nokia.com, now with free shipping. Featuring Navicore Personal 2007 Europe software, the Navigation Kit helps you in finding destinations and interesting locations conveniently. While traveling, you can easily search for information on your destinations from the web using your Nokia 770. No comments on this 199 EUR package on Planet Maemo yet. I’ll try to get hold of the package when back in Finland in order to review it and study compatibility options with the GeoClue stuff we’re working on. Hopefully the availability of a real navigation package will not hurt the promising Maemo Mapper project, as having a free alternative is important. Updated 2006-11-27: Navigation kit review by pycage, via Andrew Turner.